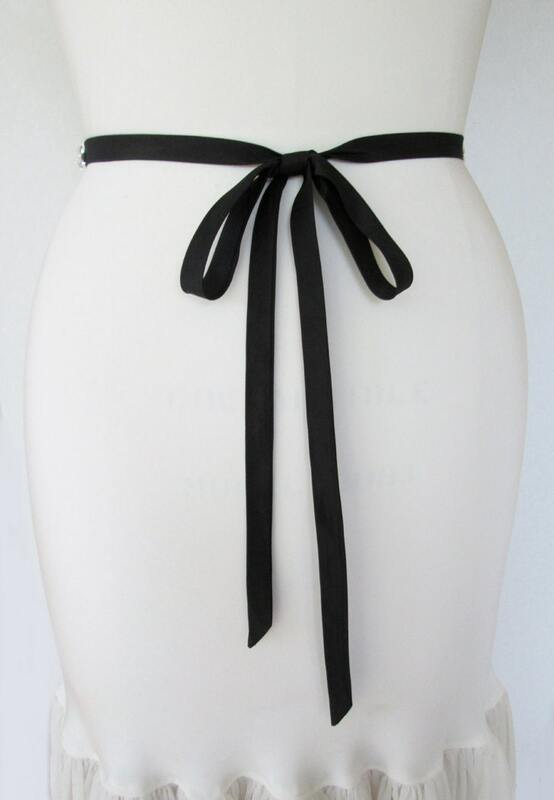 This flirty sash is hand made out of crisp silk taffeta. 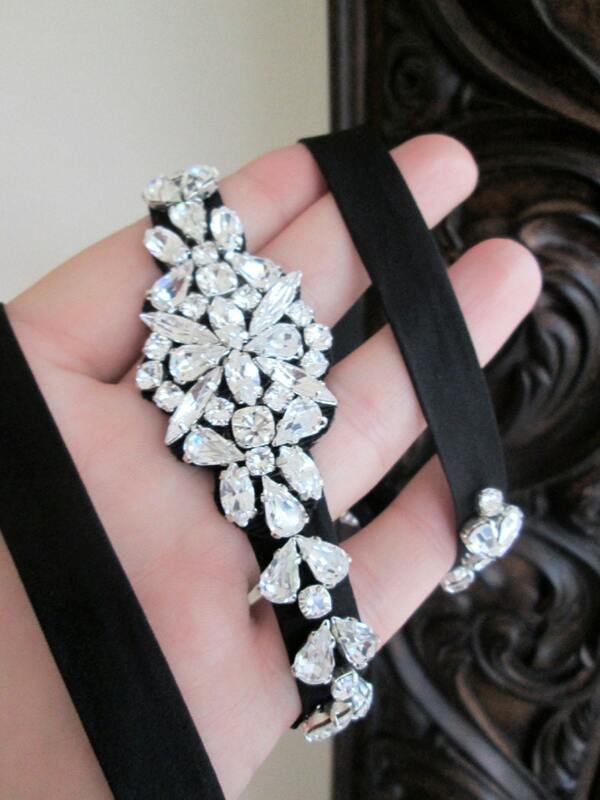 The beautiful Swarovski crystal applique measures 13 1/2" long and 1 1/4" wide in the center. 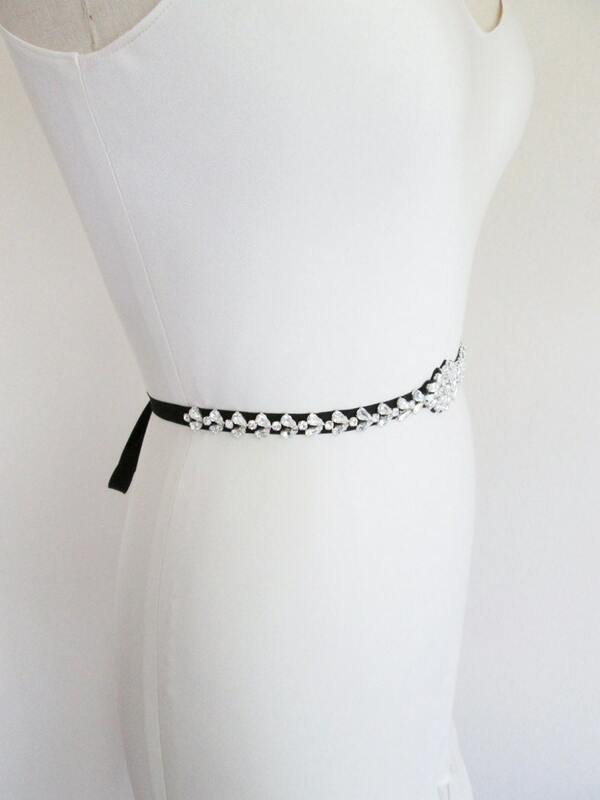 The entire sash measures 62" long and 1/2" wide. 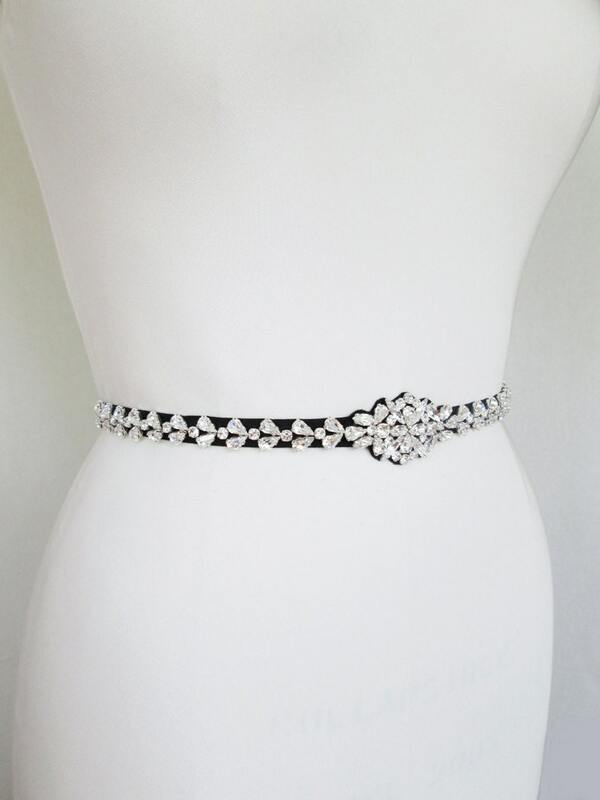 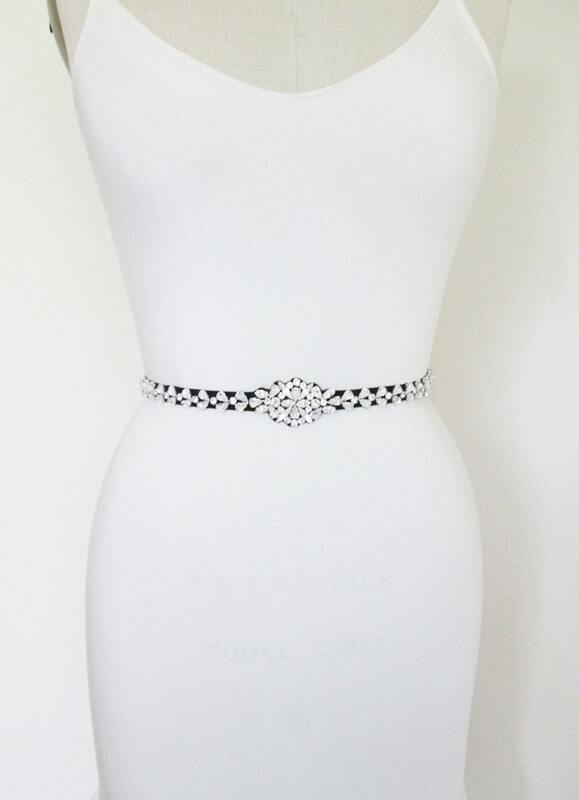 This belt is in black but can be made with any fabric, just let us know what color are you looking for.